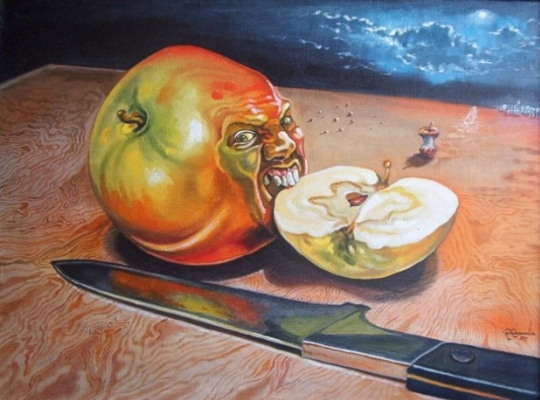 An apple, this juicy and ordinary fruit, is a paradoxical object in the visual arts. This is a mysterious and ambiguous symbol that reveals a mass of meanings and unites many opposing messages. Apples can be easily called a "double-faced" and eternal symbol. 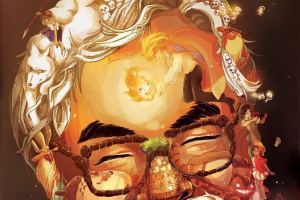 For many centuries, they have been representing both good and evil, passing through all the nuances of other meanings, depending on the era and the accepted world view. Let’s make a small mythological journey to reveal the "secret" of apples. In Slavic fairy tales, characters often go in search of rejuvenating apples to save a wounded or sick person from death. However, not only the Slavic folklore can boast of apples having such properties. Apples are fruit of the Tree of Life. It was under this tree where fates were determined, gods gathered and people were looking for immortality, health and youth. Of course, with an apple as a juicy charm. Moreover, apples are a symbol of wealth and well-being. In Norse mythology, apples were the source of the gods' immortality and perpetual youth and were closely guarded by the goddess Iðunn. 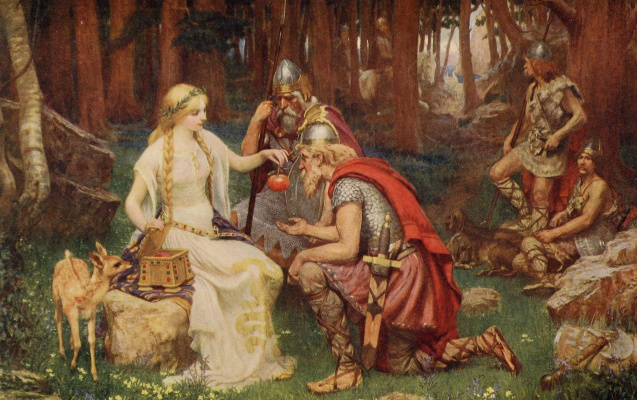 In Celtic mythology, apples symbolized knowledge and wisdom, and Avalon, Land of the Blessed, was known for apple trees, whose fruit bestowed happiness and immortality. According to the ancient Greek mythology, golden apples of eternal youth grew in a beautiful garden along the banks of the River Ocean. They were guarded by the dragon Ladon and the Hesperides sisters. 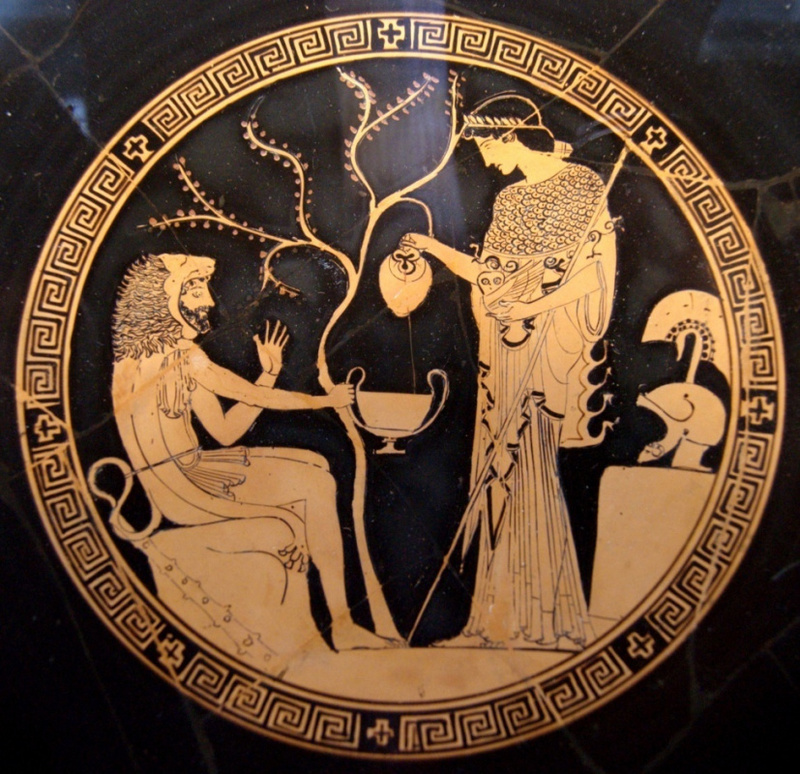 As you know, Hercules managed to get the apples, which left its' mark in mythology as his twelfth Labor, and in art — as one of the most popular scenes in ancient vase painting. 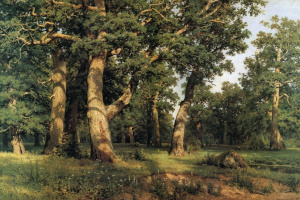 The Garden of the Hesperides was used as a subject by some artists of the modern age. 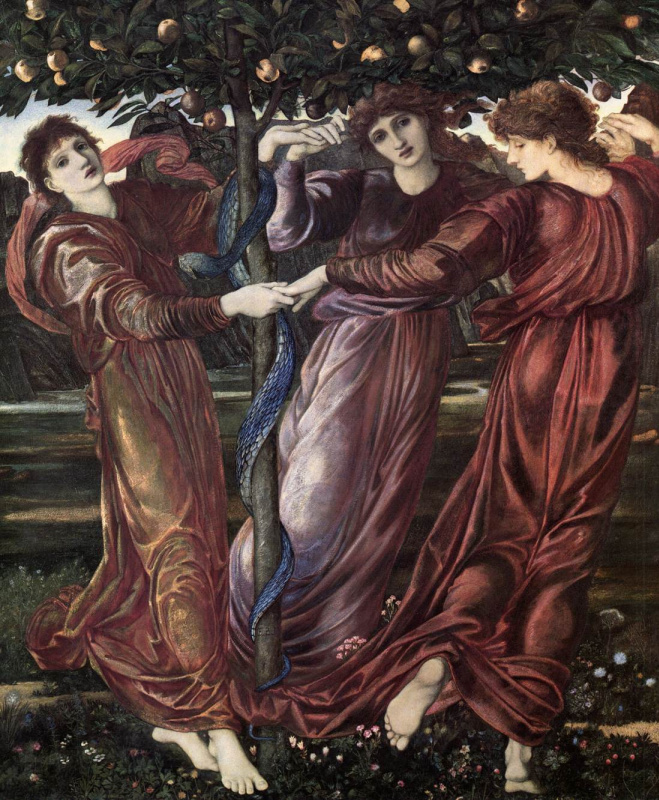 The most famous works are: The Garden of the Hesperides by Frederic Leighton, The Garden of the Hesperides by Edward Burne-Jones, a triptych The Hesperides by Hans von Marées. 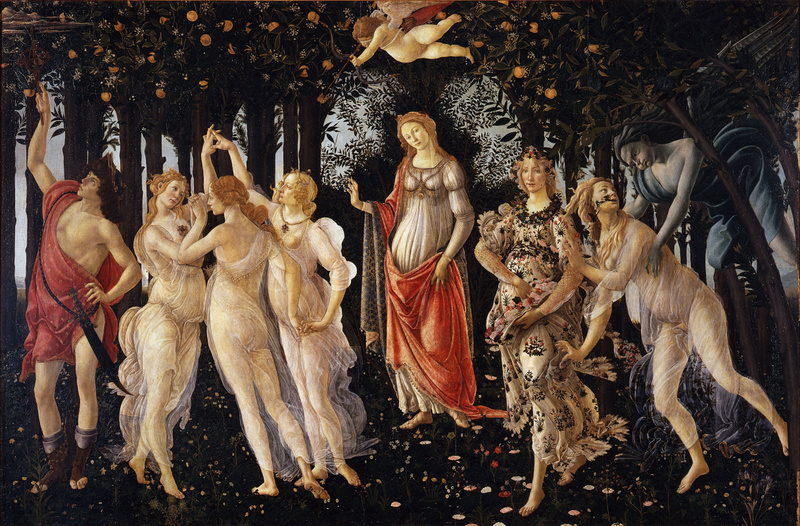 The Graces — ancient Greek goddesses of beauty and grace — were often depicted holding apples. The latter, respectively, symbolized youth, health and beauty. Sometimes Graces held balls — symbols of perfection, interpreted as golden apples. It is noteworthy that apples appeared in the Graces' hands in the Renaissance. 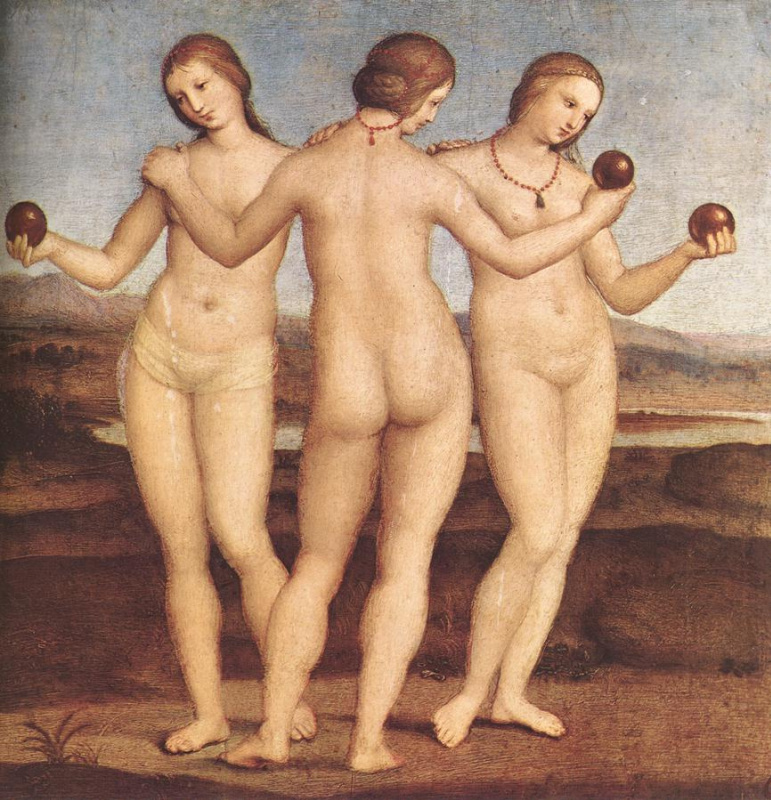 Bearing the same meaning and significance, apples became an attribute of Venus. Apples were also used in heraldry as a sign of wealth and power. "Apple brought evil into the world"
In mythology, along with being a symbol of fertility, youth and health, apples are also part of the imagery of evil. The Trojan War was also triggered by an apple (namely — the apple of discord). 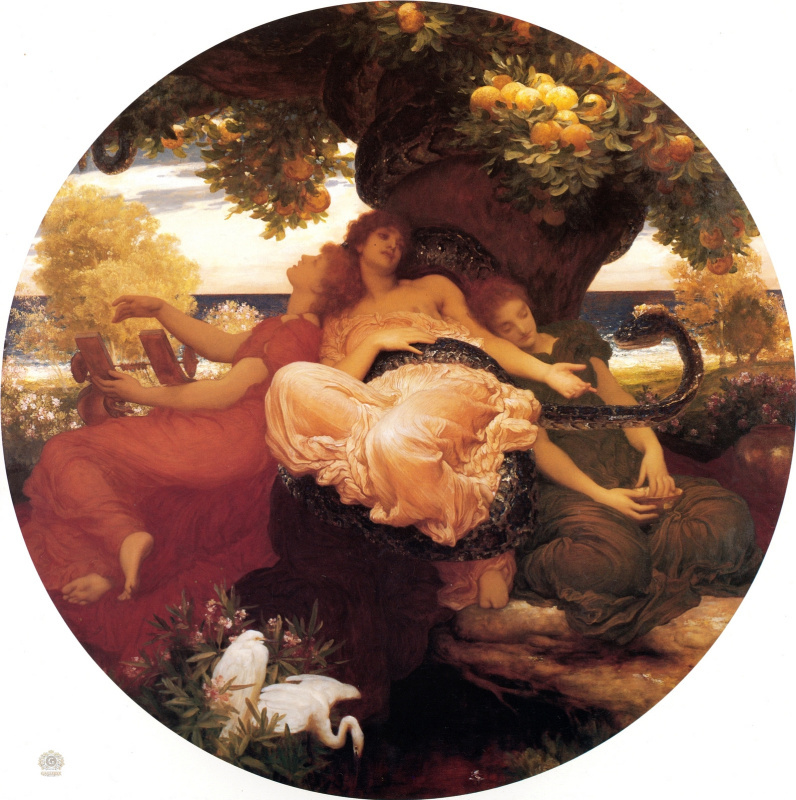 It was a golden apple which was inscribed, "To the Fairest" and planted at the marriage ceremony of Peleus and Thetis by the goddess Eris who was jealous because she was not invited to a banquet. 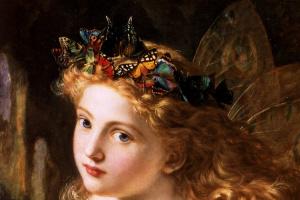 Of course, Hera, Athena and Aphrodite claimed a symbolic prize — each one considered herself the most beautiful. Zeus ordered Paris to give the apple to the most beautiful goddess. Aphrodite promised the young man to give to him the love of the world’s most beautiful woman, Helen. The abduction of Helen marked the beginning of the Trojan War, and the apple became a symbol of discord. 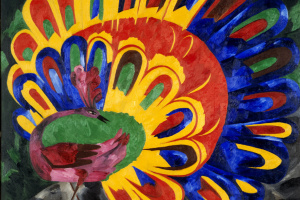 This is how an innocent fruit turned into a source of disasters and … beautiful canvases. From the cycle of Greek mythology, it is the Judgement of Paris that became the most popular plot. 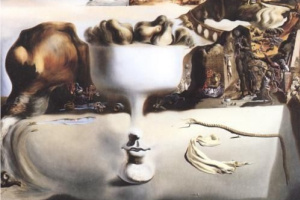 The list of authors of the most famous works bearing the same name includes Peter Rubens, Lucas Cranach the Elder, Auguste Renoir and Mikhail Vrubel. 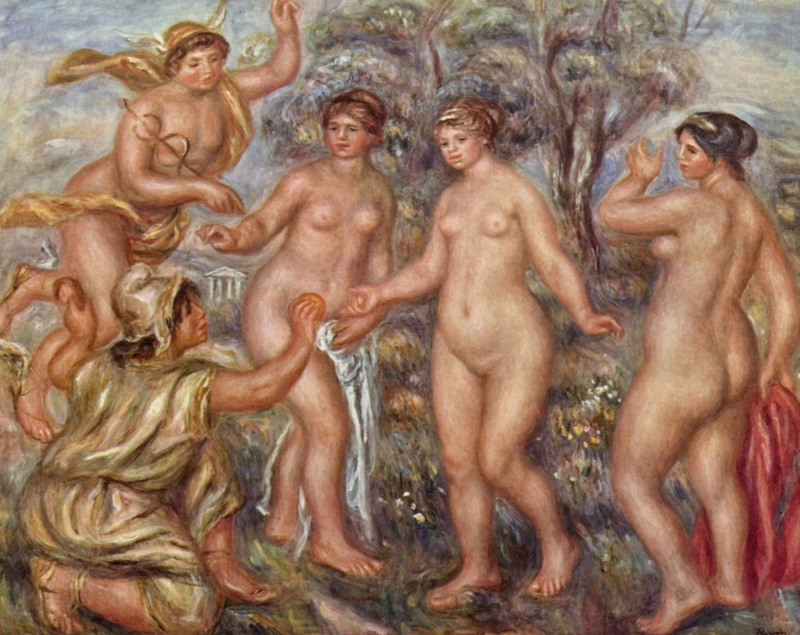 The apple of discord remains interesting to contemporary painters — many of them resort to motifs reminiscent of the pastoral beauty contest of Paris. As, for example, the painting Apple of Discord by Alexander Melnikov, given above. 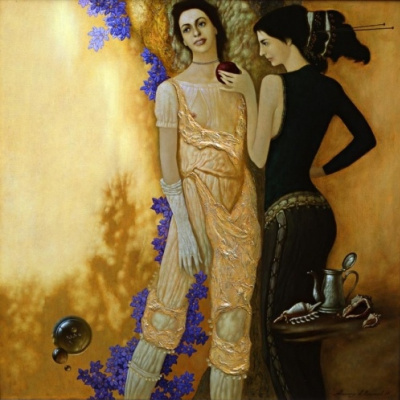 Other works draw attention by their author’s individual vision of apples, which "brought evil into the world": what an evil apple is depicted in the painting by Ramaz Razmadze! 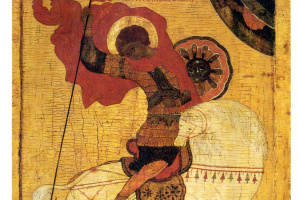 With the advent of Christianity, there appeared the image of the "Apple of the Fall". Later it was transformed into the biblical motif of the actual Fall and temptation. By the way, there are no apples in the Book of Genesis — only "fruit" are mentioned there. Therefore, you won’t find apples in early medieval painting, where every object and every phenomenon was a symbol with great significance. But in many icons and paintings of the following centuries, the Infant Christ already holds an apple, symbolizing his future mission as the redeemer expiating the sins of mankind. The apple here becomes salvation. 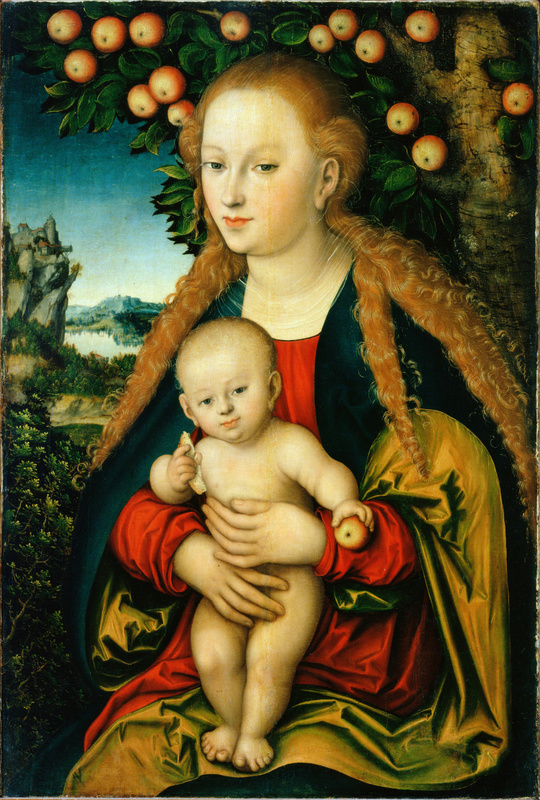 Sometimes, instead of an apple, the Infant holds the globus cruciger ("Imperial Apple") — a symbol of power. 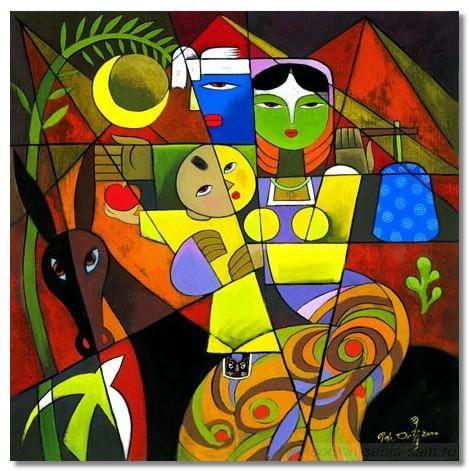 In his work The Flight into Egypt, the Chinese artist He Qi depicts his interesting vision of the Christian plot. 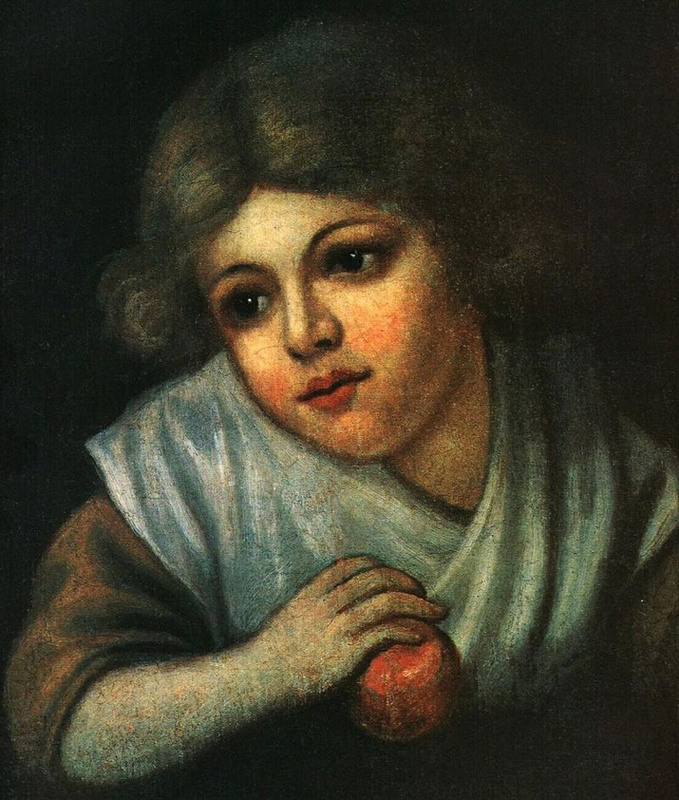 As in traditional Christian painting, the Infant Christ holds an apple — a symbol of salvation, the atonement of the original sin. However, the master’s technique is quite unique. 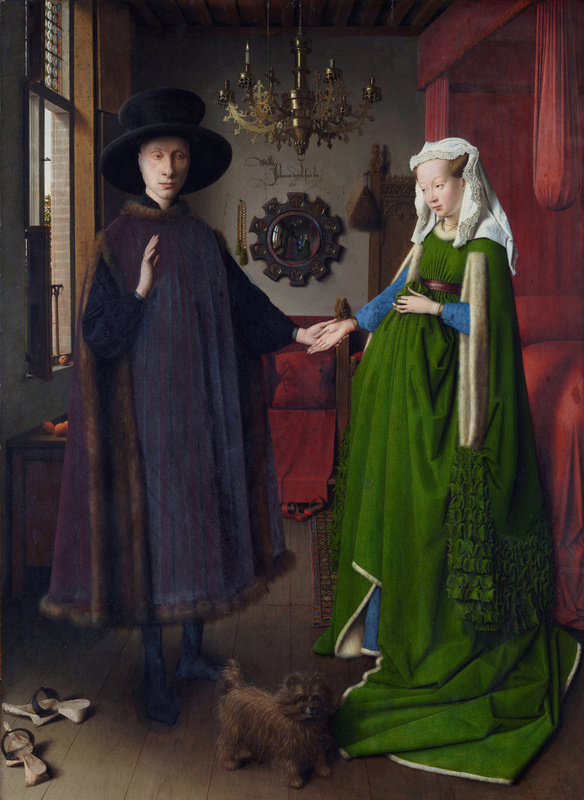 The motif of the Fall binds Jan van Eyck's Arnolfini Portrait with a fine thread: can you find apples? Apples as a symbol of temptation cannot be strictly attributed to religious painting, but the origins of the motif are still biblical. 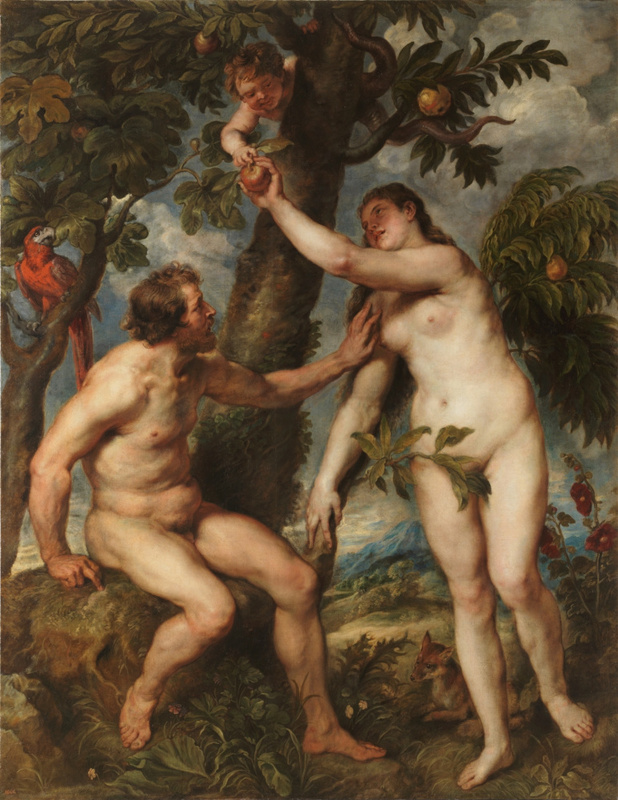 Starting from the Renaissance, the images of Adam and Eve appeal to painters not only as the embodiment of original sin. 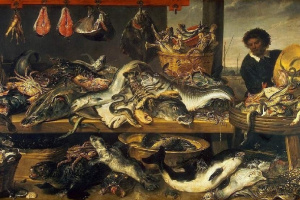 The most famous works were created by Lucas Cranach the Elder, Peter Rubens, Hendrick Goltzius and William Blake. Some painters replaced a garden or a tree in their works with a branch with apples, or with just one apple in Eve’s or Adam’s hand. Around the XIX century, art began to rethink the motif of temptation and move away from the negative image, flavoured with the Fall. Apples were no longer associated with sin and started symbolizing a high feeling — Love. 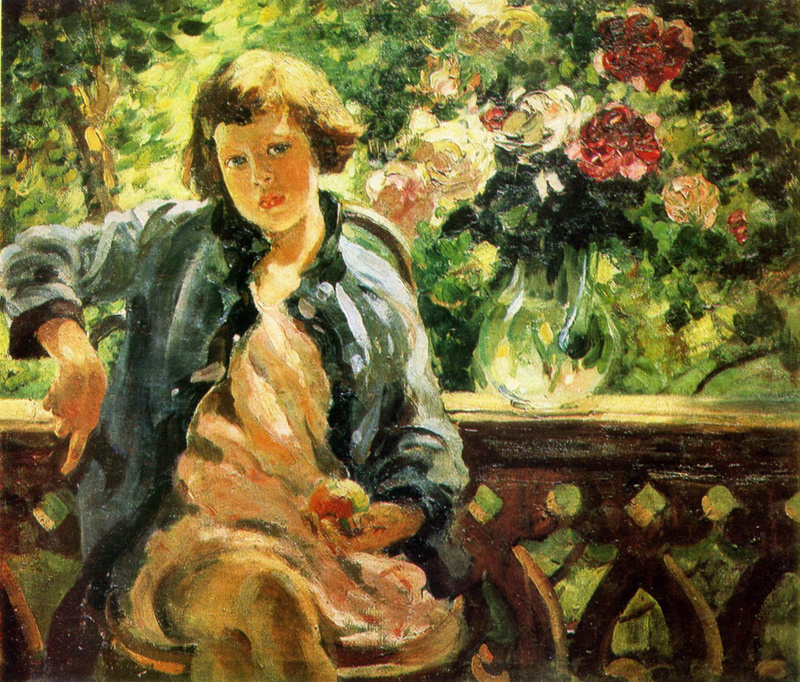 Over time, with the change of epochs, trends and styles, artists brought apples their optimistic, bright meaning of the symbol of love, life, spring and well-being. 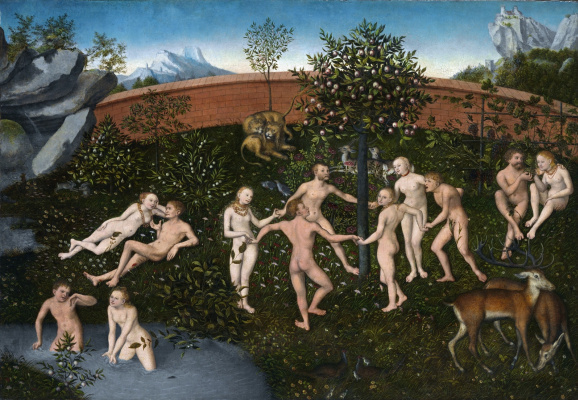 In the Renaissance, painters began to turn their paradise gardens into apple ones. 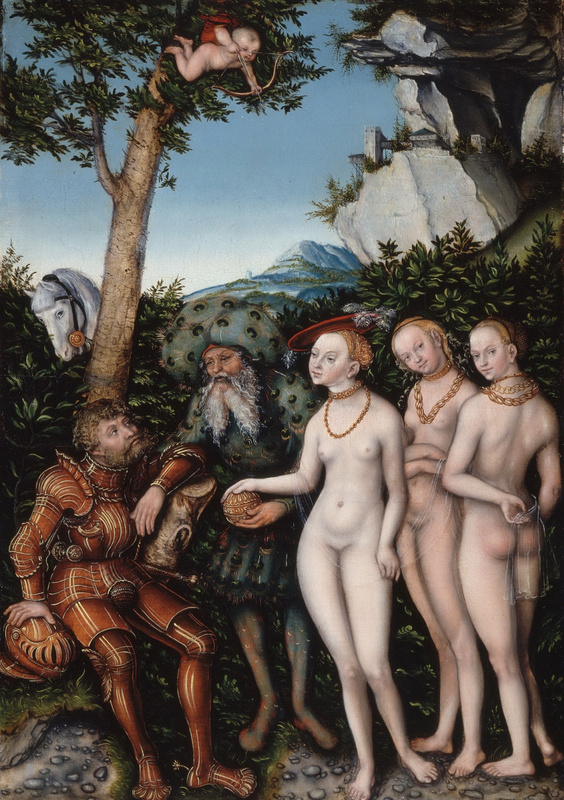 In the works by Sandro Botticelli Spring, Golden Age by Lucas Cranach, the Elder, apple tree is the center of the world, the tree of life, and the personification of youth. Apples are often symbols of youth, beauty and health. No wonder many masters depict their models with apples in their hands (pictures: Raphael Santi's Portrait of a young man with an apple, paintings by Portrait of Ekaterina Nikolaevna Arsenieva, Portrait of Skobeeva by Vladimir Borovikovsky, Girl with an apple by Vasily Tropinin and many other works). Note to the color of such apples: it is delicate, golden, "with a blush", which use to be associated with health. of the hero fruit. A distinguished gardener Claude Monet painted a blooming apple orchard — the personification of fullness and thirst for life. 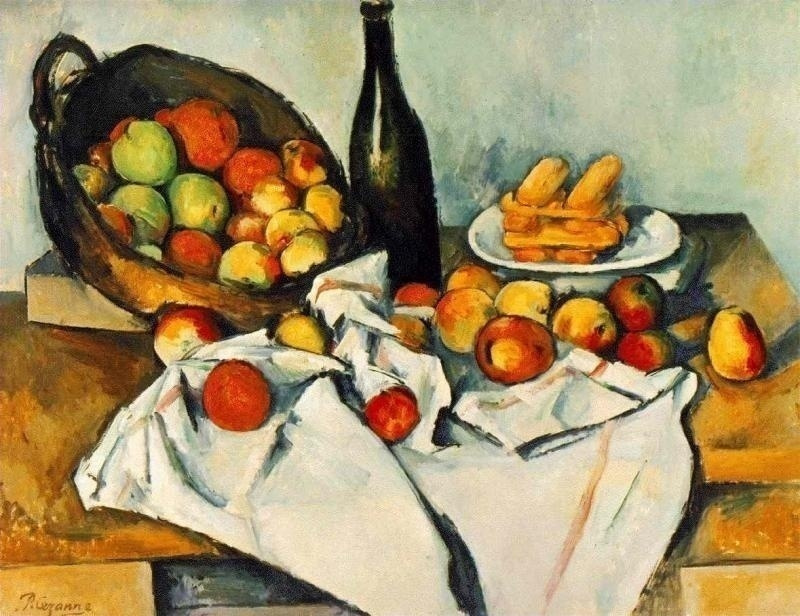 About two hundred still lives and many apples on the table — this is the contribution of Cézanne to the "apple theme". He once said "I will surprise Paris with an apple! ", and he kept his promise: he made a simple fruit the symbol of the new art vision. 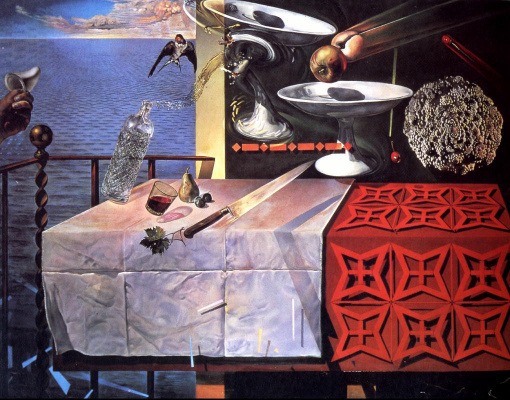 The task of transforming the ordinary into the unusual was solved by Salvador Dalí. "It is very stupid to draw an apple as it is. 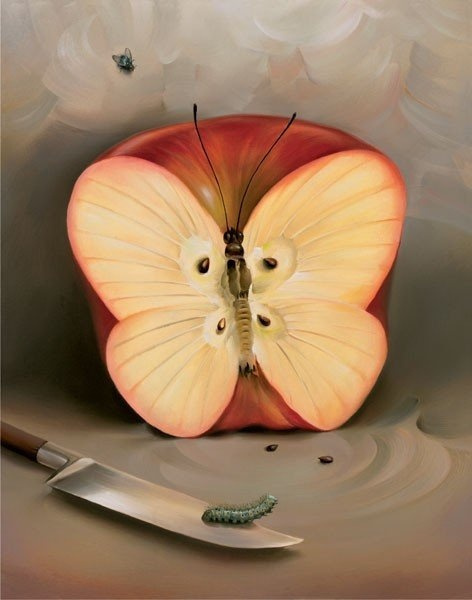 Draw at least a worm, torn by love, and a dancing lobster with castanets, and let elephants flutter over the apple, and you will see that the apple is too much" he said and drew a mysteriously hovering still life. With the help of a red apple, he "decided and began to comprehend space & time by contemplating levitation, which destroys entropy". By the way, nowadays artists are not averse to depicting an apple poisonous green, emphasizing the dual meaning of a sweet and sour image. 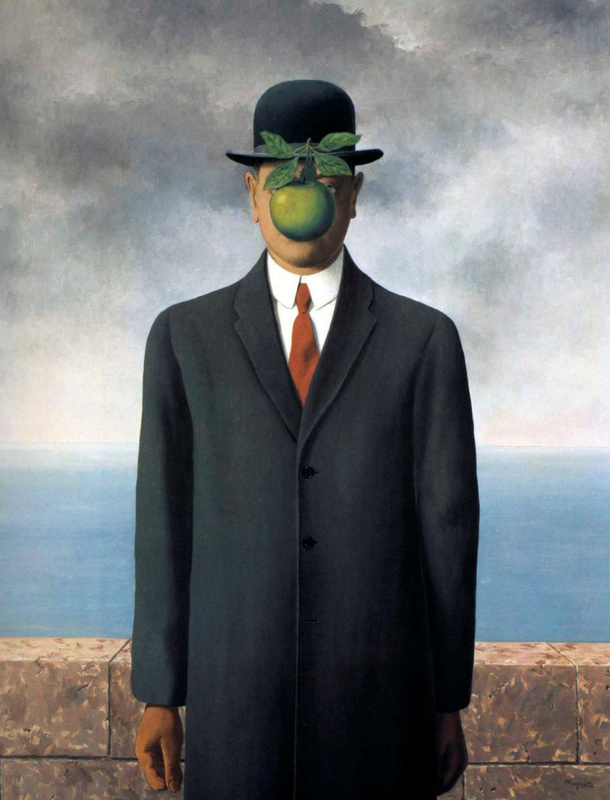 The Belgian surrealist painter Rene Magritte showed great interest in the symbol apple, endowing the fruit with seemingly traditional meanings. For example, apple meant the personification of original sin and life temptation in his work Son of Man. 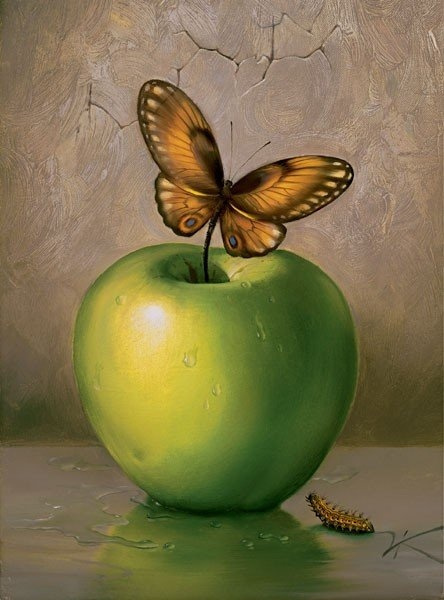 The modern surrealist Vladimir Kush also follows the Magritte footsteps, depicting a green apple with a caterpillar, or a half apple as a butterfly, which, alas, never hatched from it. , using the "mix" of many motifs known to us. Often it can be found in advertising, as well as in companies' emblems and trademarks. Examples are not far to seek: the world’s most recognizable logo — Apple's bitten Apple — is a successful synthesis of the symbol of knowledge and well-being. By the way, the lines of the famous logo are reminiscent of Pablo Picasso’s style. Well, everything repeats itself in the art world, even apples. 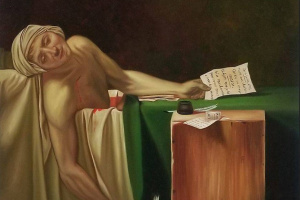 Спасибо, интересная статья. Но есть мнение, что на портрете Арнольфини изображены апельсины, а не яблоки.